I’ve been waiting patiently for the first tort opinion of 2018. I’ve muscled through the attorney grievance opinions and criminal cases for 19 days until I finally got one: Davis v. Frostburg Facility Operations LLC. This nursing home fall case is a cautionary tale for lawyers who step outside of their practice areas. The issue in Davis is the distinction between ordinary negligence claims and professional malpractice claims. In most cases, you know whether you have a malpractice case or you don’t. You trip and fall on a slippery floor in a hospital; that is not malpractice. The doctor operates on the wrong leg; that is malpractice. The question is what do you do when it does not feel like malpractice, but you fear a court might see it differently. The Maryland Court of Appeals has acknowledged that the phrase “medical injury” can be a little bit ambiguous, making it sometimes different to determine whether a case should be started through HCADRO or a Circuit Court. The answer is simple. Just file suit under the Health Claims Act. It can’t hurt. But many Maryland lawyers — usually those that have not felt the weight of the nuances and technicalities of the HCA on their shoulders — choose a different path. Under Maryland’s Health Claims Act (the “HCA”) (Md. Code Ann., Cts. & Jud. Proc. §§ 3-2A-01 et seq. ), any negligence claim against a healthcare provider alleging “medical injury” is considered a malpractice claims and is subject to mandatory arbitration with the HCA Dispute Resolution Office (“ADR Office”). Malpractice claims cannot be brought in circuit court unless the plaintiff first filed them with the ADR Office as required by the HCA. By contrast, if a claim against a healthcare provider involves non-medical negligence, it can be filed directly in circuit court and is not subject to preliminary arbitration under the HCA. Is dropping a patient medical malpractice? The plaintiff in the underlying case, Shelia Davis, was a patient at the Frostburg Village nursing home when she was injured as a result of 2 separate accidents. In the first incident, Davis fell out of her bed while sleeping because her mattress was not properly secured to the bed frame. Then later, when one of the nurses attempted to use a mechanical lift to get Davis back in her bed, the lift released and dropped Davis on the floor again. Davis sued Frostburg in Circuit Court asserting separate negligence claims for both: (1) her initial fall out of the bed and (2) the subsequent accident with the mechanical lift. The nursing home sought dismissal of both negligence claims on the grounds that they were malpractice claims for “medical injury” and therefore had to be filed with the ADR Office as a “condition precedent” under the HCA. The Circuit Court for Alleghany County agreed that Davis was asserting medical malpractice claims and granted Frostburg’s Motion to Dismiss. The Court of Special Appeals (Maryland’s intermediate level appellate court) affirmed the trial court’s dismissal. The Maryland Court of Appeals granted cert. Judge Atkins wrote the opinion for a unanimous court, which upheld in part and reversed in part. After summarizing the court’s prior cases, Judge Atkins explains that the HCA only applies to claims that allege a breach of a professional duty of care during the actual rendering of medical care. The opinion goes on to discuss the application of this test to the 2 separate negligence claims asserted by Davis. Davis’s first negligence claim was based on her fall out of bed while she was sleeping. The Court found that this was an “ordinary negligence” claim and not subject to the HCA. Judge Atkins explained that the fall from her bed did not involve the “rendering of medical care” and no medical professional was even present at the time. The Court reached a different conclusion with respect to Davis’s negligence claim related to the nurse dropping her with the mechanical lift. The Court found that this claim did occur during the rendering of medical care – specifically the nurse lifting Davis back onto her bed. Davis’s claims for this incident would require an examination of medical procedures regarding proper lift operation and whether the nurse followed them. Based on this distinction, the Court held that this claim was a medical malpractice claim within the scope of the HCA and was therefore properly dismissed by the trial court. But if that is the case and the defendant is put on proper notice, shouldn’t the statute of limitations toll if the defendant was put on notice of the claim within three years? The Court of Appeals has previously found that given the difficulty in ascertaining whether a claim was a medical injury or not, there should be a public policy exception to the tolling rule. So why not do that here? Let substance triumph over form. The decision in Davis offers helpful guidance on the distinction between ordinary negligence claims versus malpractice claims under the HCA. But rather than try to figure out whether a claim may or may not involve “medical injury”, the better, safer course of action for plaintiff’s counsel is to simply assume the HCA might apply and file with the ADR Office. The arbitration process under the HCA is non-binding and filing with the ADR Office automatically tolls the statute of limitations. In some cases, it might be obvious that a claim is not a malpractice action under the HCA. But when it is less obvious, much like the situation in the Davis case, it just makes more sense to go ahead and file with the ADR Office. If nothing else, the result in Davis demonstrates that deliberately bypassing the HCA arbitration can be very risky and offers no strategic advantage. Had Davis filed her claims with the ADR initially, she would have eventually ended up in circuit court anyways without having half of her case dismissed. The cornerstone of my thinking is that if you have to fight an unnecessary fight, you are going to lose whether you ultimately win or lose. Why not just take the safest route? What the court requires you to do in malpractice cases is just do the work you otherwise would have to do anyway further down the road in the litigation. The smartest play is to have your case ready to go before you file suit. Arguably, our foolish and rigid statutory scheme to file medical malpractice cases in Maryland actually helps malpractice lawyers because it requires them to get their act together before filing suit. I don’t know who the plaintiff’s lawyers were in this case. But my guess is that they do not regularly handle medical malpractice cases. 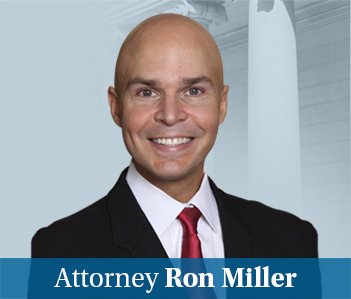 So many legal malpractice cases arise from good lawyers entering an area of law in which they do not specialize. I could not handle the most basic criminal or domestic law claims. I have too much respect for the expertise of the lawyers who practice in those areas of law to think I could walk in and competently handle one of those cases. Yet, these same lawyers think they can handle personal injury cases and, even worse, malpractice claims. Usually, the result is just a bad result for the client, not a Maryland high court opinion that says you did not know what you were doing. But the result for the client is the same.